SharePoint Online delivers the powerful features of SharePoint without the associated overhead of managing the infrastructure on your own. Safeguard your data by hosting it in geographically distributed datacenters with premier disaster recovery capabilities and a team of experts monitoring the servers around the clock. 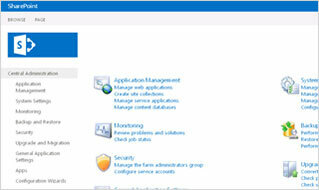 SharePoint provides powerful controls that allow IT departments to manage cost, risk, and their time. SharePoint makes it easy to find answers, discover insights, and connect with experts. Developers and web designers can create new experiences on SharePoint using familiar tools and internet standards. Whether you’re working as a team or an individual, SharePoint helps you organize information, people, and projects. Connect with employees across the enterprise. 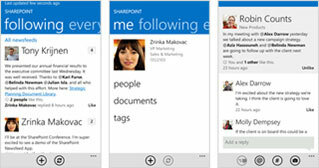 Use SharePoint to engage with people, share ideas, and reinvent the way you work together. Unsere go2azure Cloud Services beinhalten ein KOSTENLOSES Starter Support Paket und geben Ihnen die Sicherheit, bei eventuellen Problemen oder zusätzlichem Informationsbedarf auf die Expertise und das umfassende Know-How unseres Support Teams zurückgreifen zu können. Wenn Sie unser Starter Support Paket nutzen, können Sie Leistungen anderer Support Pakete nur dann in Anspruch nehmen, wenn Sie ein entsprechendes Upgrade ordern. Support Pakete können innerhalb eines Werktages erweitert werden.